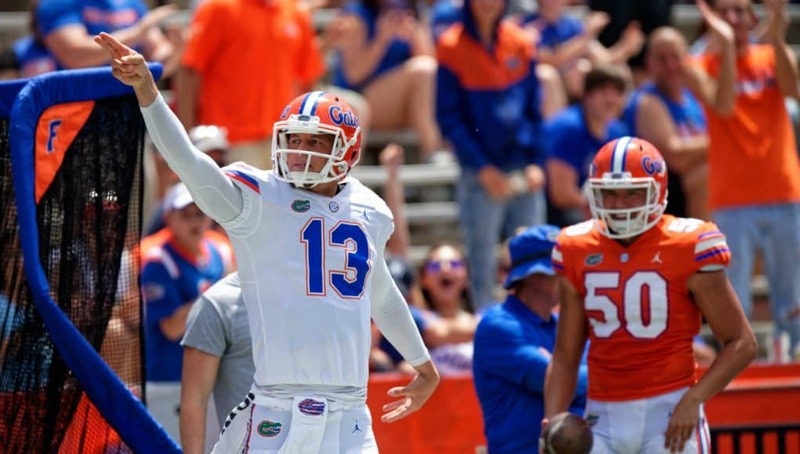 When Feleipe Franks busted into the end zone and turned to his own fans in the southwest corner of the end zone and raised a single finger to them, essentially telling them to shut up, it was met with mixed reviews. However looking back at it now it was a turning point for Franks. It was the moment he turned the corner, started playing with a loose comfort and a physical, nasty attitude. It took that moment, all the pent up frustration bursting out in a moment of triumph for him to get over the hump. Since that game Feleipe Franks has completed 65% (63-97) of his passes for 862 yards, 12 total touchdowns and no interceptions. He used that finish to the season as a springboard and Franks carried that into the spring. “He’s just a determined young man and he’s out to prove people wrong. Franks took a more serous approach to the offseason as well. He’s known as one of the funnier players on the team and he can joke with the best of them. 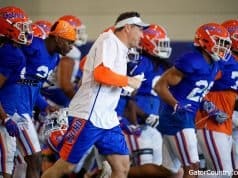 Heading into this season though Franks truly took on a leadership role. Trevon Grimes has told stories of Franks calling him late at night because he was looking over film and wanted to tell Grimes about a route the receiver ran and how they could improve. Jefferson says it was often Franks calling to get guys together to meet in offseason and work on their own time. It’s been a long maturation process that has had its share of ups and downs — more downs than ups at times. In 2017 Franks completed less than 55% of his pass attempts and threw 9 touchdowns to 8 interceptions. He lost the starting job, came back to start after injuries and was replaced again. When Emory Jones signed and enrolled early many were ready to move on from Franks and take their lumps with starting a freshman. Franks’ teammates rallied behind him they wouldn’t let him get down and they insisted that they believed in him. Saturday during the spring game Franks showed that he’s only built on the ending to the 2018 season. He looks like a completely new person on the field. 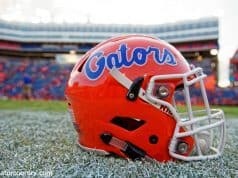 Franks tied Chris Leak’s record for touchdown passes in a spring game (4). He completed 13-of-18 passes for 327 yards but spring game stats can be inflated. The one thing that can’t be is how he looked. Franks was calm and poised. He played well, sure, but it was his attitude and his leadership, things that have been inconsistent in the past that shined the most. At the end of the day Dan Mullen’s offense needs that kind of leadership at quarterback. 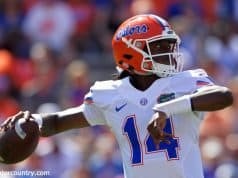 It’s an offense that relies so heavily on good, smart quarterback play and it looks like Franks is more than ready to deliver that in 2019.